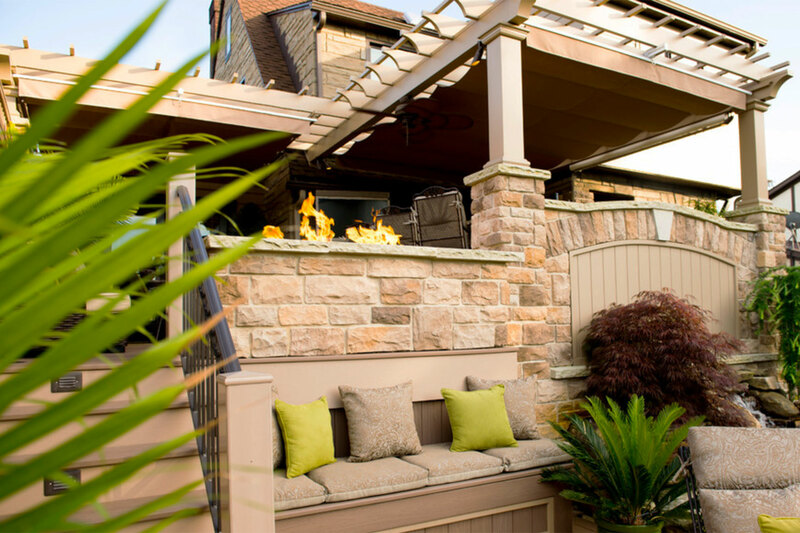 Through their qualified professional expertise and hands-on experience, Brown Design Group has been creatively crafting tailored landscapes in and around the Pittsburgh region for over a decade. 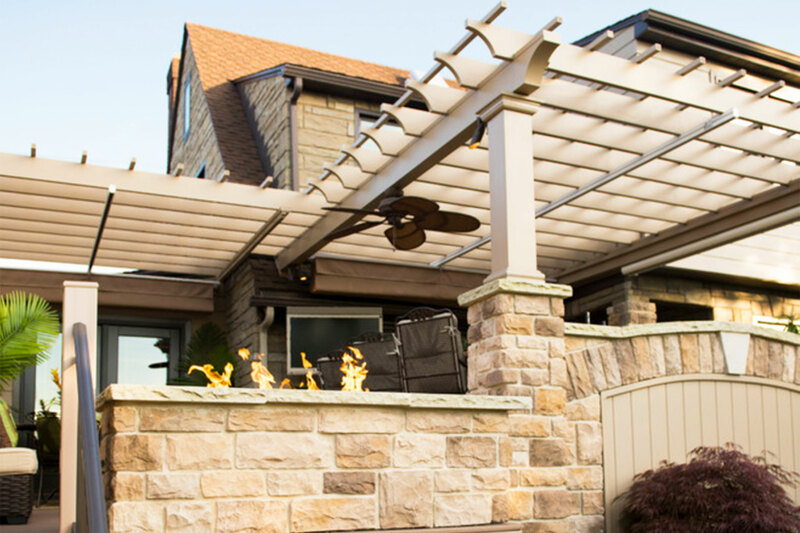 With a dedicated staff of architects, designers and craftsmen, Brown Design group has consistently turned their client’s ideas, dreams and visions into beautiful realities. 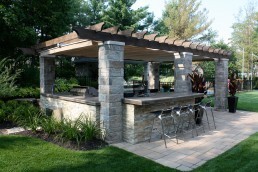 Their precise attention to detail is reflected in all of their projects, a trait acknowledged this year by the Pennsylvania Landscape and Nursery Association. 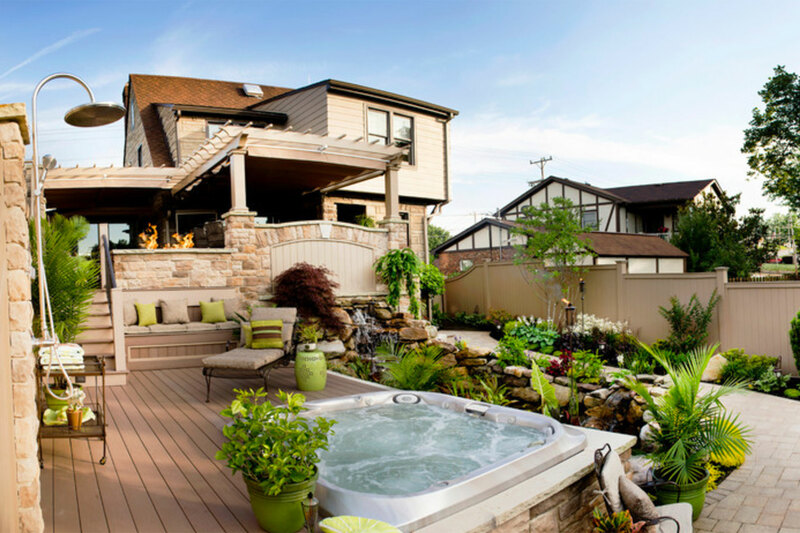 After completing a design in South Hills, Pennsylvania, Brown Design Group was awarded Gold in the Residential category for Landscape Excellence. As per usual, Brown Group worked closely with the homeowner, designing several different layouts and possibilities before focusing on one that met all aspects of the client’s criteria. Included in the final plan was a space for outdoor cooking and dining, a fire pit, sunbathing, a convenient spa and gardening green space tied together within an ambience that embraced moments of natural serenity. To incorporate all of the design elements, the backyard was turned into an innovative three-tiered living garden with levels seamlessly transitioning into one another. 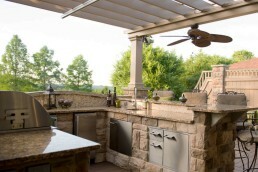 The top level holds the most functions: garden, cooking/dining, fire feature, bar and outdoor television. 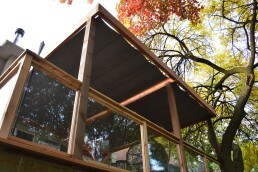 Two striking pergolas painted with cellular vinyl to look like cedar, define the top-level. Throughout the design process, a primary concern for the homeowner was a potential loss of privacy from neighboring sightlines. 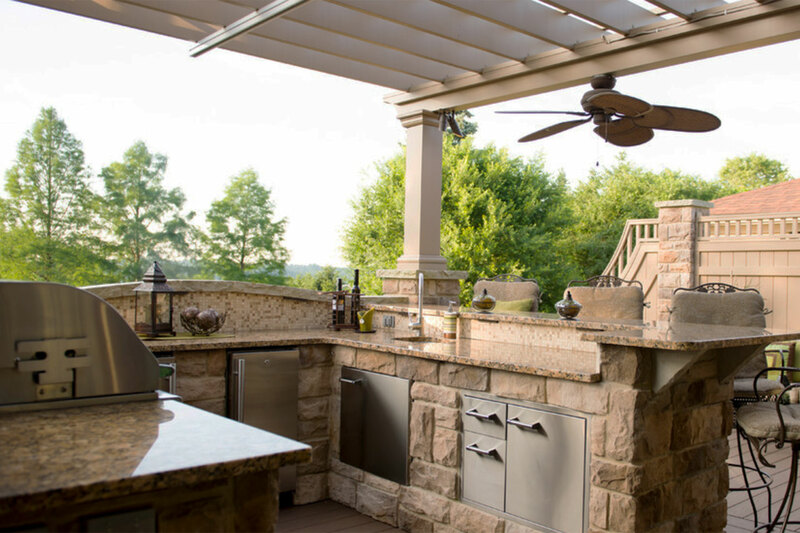 To remedy this concern, Brown Design Group reached out to ShadeFX, not only to quell any privacy issues, but to also provide shade and coverage over the cooking and entertaining areas defined by the two pergolas. 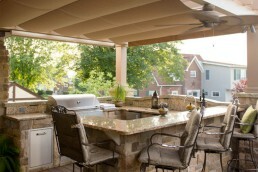 Two retractable canopies provide homeowners and guests with total outdoor protection. 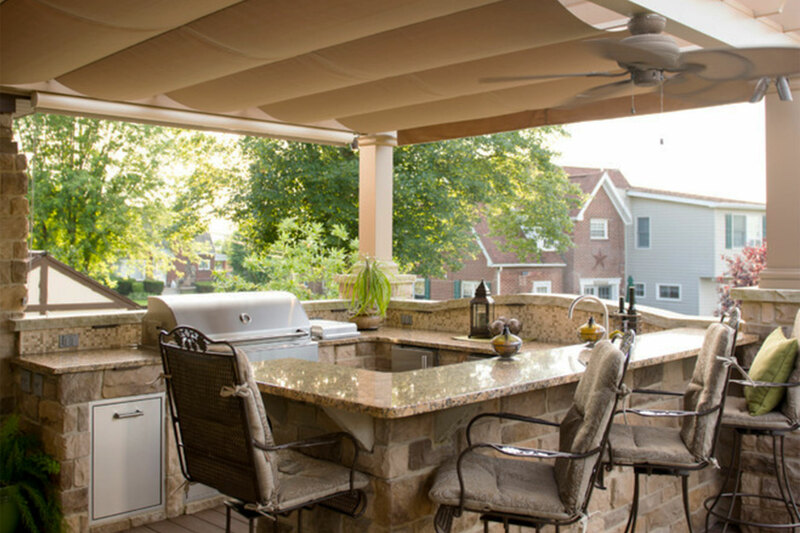 Whether sitting by the fire, cooking on the barbecue or watching the big game, these homeowners know that despite the weather, total relaxation is a button away. A special thanks to all the members of Brown Design Group for allowing ShadeFX to participate in this project and SkySight Photography for the images. Throughout the design process, a primary concern for the homeowner was a potential loss of privacy from neighboring sightlines. 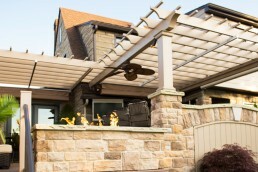 To remedy this concern, Brown Design Group reached out to ShadeFX, not only to quell any privacy issues, but to also provide shade and coverage over the cooking and entertaining areas defined by the two pergolas.